A sparkling friendship image to share with your bestie at free of cost. The bond of friendship is evergreen, immortal, ever glowing without an end. We come across so many friends in our life but not everyone stays till end. The one who stays back is the true treasure. 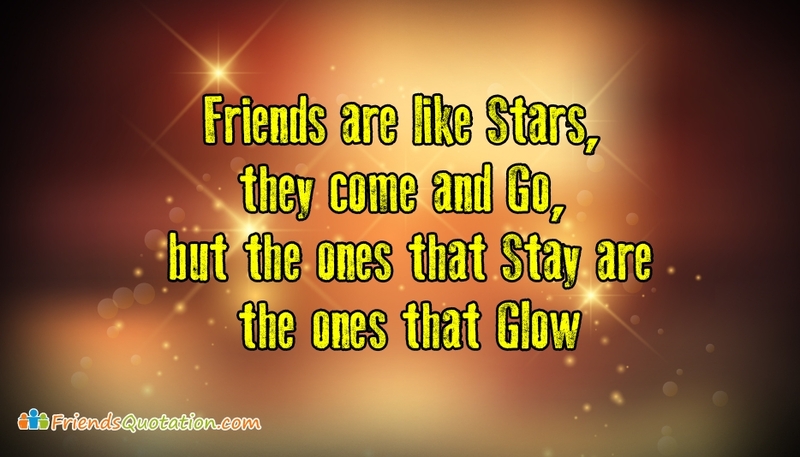 Free download and share this "Friends are like Stars, They come and go, But the ones that stay are the ones that glow" image to your close buddy. Waters May Dry. Flowers May Die.